I’m often asked to explain the difference between Braxton Hicks contractions and labor contractions. That’s a great question! Understanding the characteristics of Braxton Hicks and labor contractions will help you identify if you are really in labor or not. 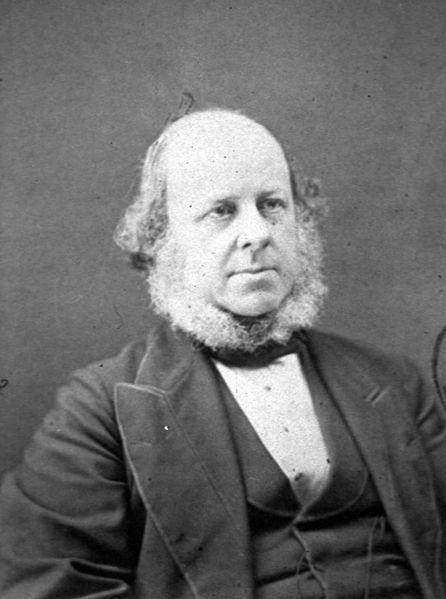 Dr. John Braxton Hicks was a British obstetrician in the mid-1800’s who rocked some mighty sideburns, I must say! He noticed that many pregnant women had contractions toward the end of their pregnancy that did not lead to labor. He wrote about that in 1872 and the contractions he referred to became known as Braxton Hicks contractions, in his honor (and rightly so, in my opinion). Braxton Hicks (BH) contractions are best described as an all-over tightening of the uterine muscle. During a BH contraction, the entire uterus may get very hard and can feel very tight and then relax. BH contractions are not usually painful, but the uterus can get so hard and feel so tight that it can feel weird or maybe a bit uncomfortable. BH contractions are like warm-up or toning contractions. They aren’t leading to the birth of the baby, but they’re getting the uterine muscles warmed up and ready to act when it’s time. Labor contractions, on the other hand, feel crampy and wave-like because the uterine muscle is shortening and then relaxing. They will often start off feeling like a mild cramp or twinge (some say they feel like menstrual cramps down low in the front) and then build, getting stronger and stronger until the cramping sensation reaches a peak of intensity, and then the sensation gradually eases off. The next contraction builds the same way…getting stronger and stronger and then easing off. There is a very wave-like feeling to them. Sometimes there will be a pulling or tugging or pressing sensation in your low back as well. That back sensation is important to note because that indicates that your uterus is tilting forward with the contraction, pulling on a ligament in your back (uterosacral ligament). So, BH contractions are very common and normal in pregnancy. Some women feel BH contractions more than others. Some women feel very few BH contractions and others feel many of them, often very frequently. Women who are expecting a 2nd or 3rd (or more) baby will usually notice BH contractions sooner than they did with their previous baby. You might notice that some things seem to trigger more BH contractions or early labor contractions, like walking or being on your feet a lot. So, getting up from a seated position or walking when you have a full bladder can certainly stimulate a BH contraction or even a labor contraction, when it’s time, just from the pressure of the bladder against the cervix. 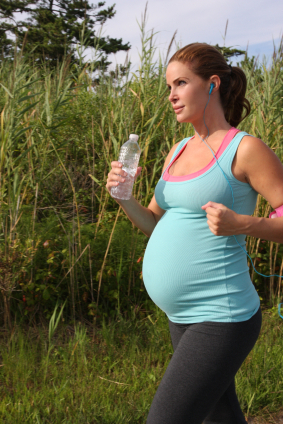 Another factor that can cause BH contractions or early labor contractions is dehydration. Staying hydrated is important because the amount of fluid you drink affects the amount of amniotic fluid your body makes. Even slight dehydration can cause a drop in your amniotic fluid level and that can stimulate contractions. Think of it this way…if your amniotic fluid level drops, your body may think your amni sac has broken and is leaking, and therefore, it is time for the baby to be born…so the uterus may start to contract. Drinking two big glasses of water back-to-back and resting for 15 minutes or so will usually calm things down if you are having contractions caused by dehydration. If you are ever worried about the amount of BH contractions you are feeling or about any labor-like contractions you are feeling, you should always contact your health care provider (doctor, nurse or midwife). It is important for you to have peace of mind that everything is okay. So, just remember that both Braxton Hicks contractions and early labor contractions are just your uterine muscle tightening or shortening and relaxing. That’s it. Not all contractions are painful. BH contractions are usually not painful and early labor contractions may or may not be painful or uncomfortable. Braxton Hicks contractions don’t indicate that you are going into active labor anytime soon, but early labor contractions that are wavelike, increase in intensity and become more frequent can indicate that you are going into labor, especially if you feel a tug or pressure in your low back with the contraction.